Gingerbread is another one of the many things I discovered later than seemingly everyone else. 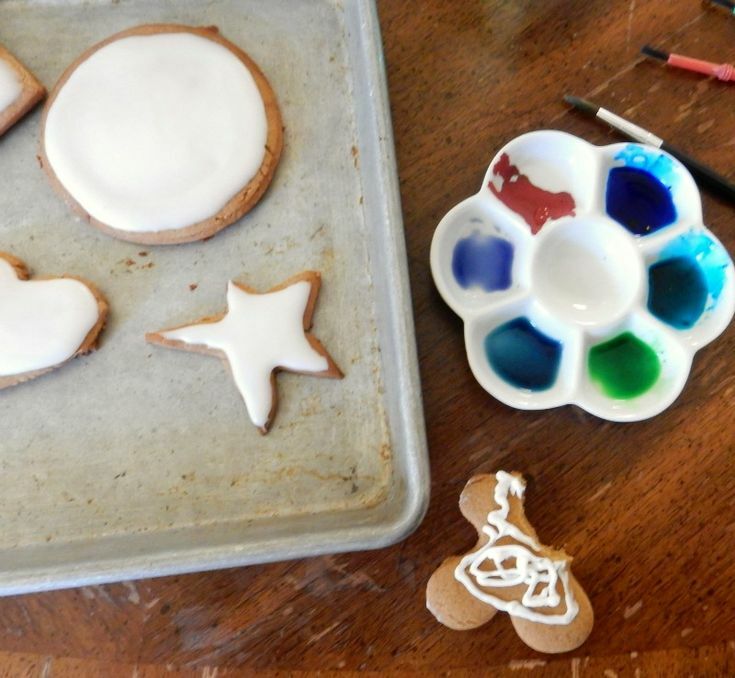 I always knew about gingerbread and had it a time or two, but it was never a part of my essential Christmas experience until three or four years ago when I realized the joy of making three dozen gingerbread men with our eccentric cookie cutter. Okay, there's nothing inherently weird about our cookie cutter except that one of the leg is bent so that it gives the gingerbread men this "shuffle, step" appearance that never fails to remind me of Fred Astaire. So I call them "Fred Astaire" gingerbread men and I love them to death. My favorite recipe can be found at allrecipes.com, strangely enough. It also might be mentioned that I tend to put about twice the amount of ginger requested in a cookie recipe because I like my gingerbread to bite. This kind of cookie is probably the worst on my waistline because, unlike chocolate chunk cookies, they seem healthful and wholesome and hearty! They seem the sort of thing you could eat ad infinitum with no worse side effect than a slight ennui when you thought about eating another. Sadly, they're quite as full of unhealthfulness as the next cookie except, say, the helping of iron that comes from the molasses. Anyway. I hearkened back to an old English lit assignment of mine and decided to paint some winter scenes on my gingerbread this year. 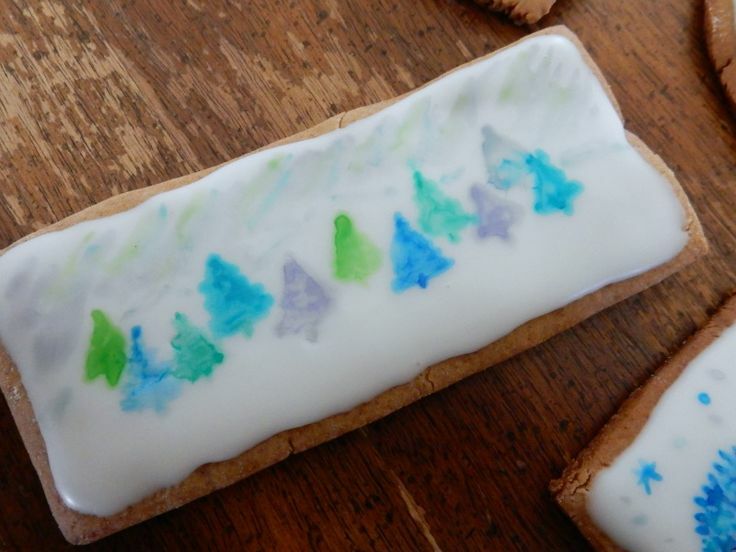 I cut out various shapes from the dough, baked them, iced them with a paste of powdered sugar and water, mixed up some strong food coloring, and painted away. Mix one teaspoon of water with the sugar until you have a nice, icing consistency. If needed, thin with a few additional drops of water till desired thickness. 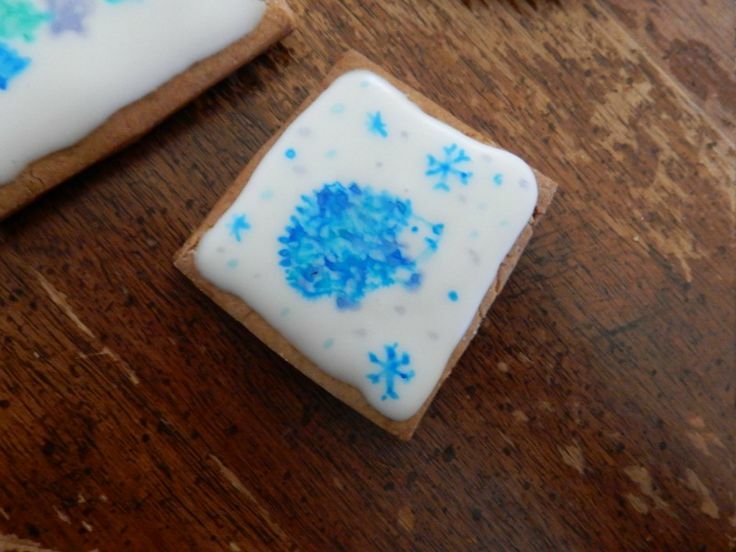 Ice cookies and allow to air-dry for at least an hour. 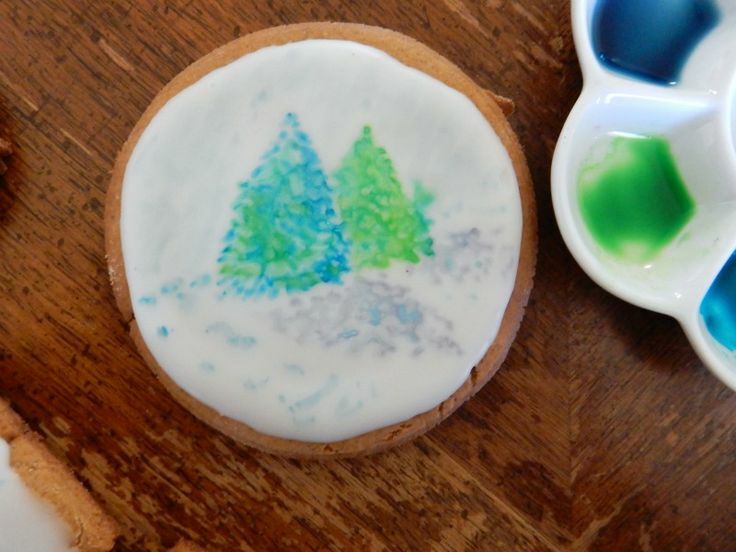 When the surface of the icing is stiff, mix food coloring and water in the wells of a watercolor palette to desired strength. Paint designs with a fine-tip brush and allow to dry. I had such fun painting these cookies and I'm sure they would make lovely party favors or gifts for a friend who has everything already. 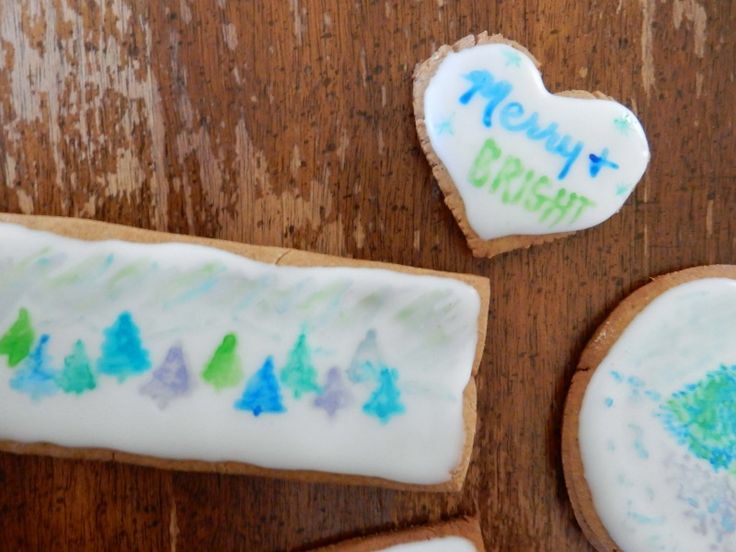 They're also a fun alternative to the full-out cookie-decorating experience if you don't have time/space/supplies for such a thing. The first time I ever painted cookies, I did Jane Austen quotes. It was so very Alice in Wonderland to eat a quote with a cup of tea! Hope you'll try this fun new version of a classic cookie. If you do, tag @lipstickandgelato on Instagram so I can see your work! Awww, these are precious. I still need to make gingerbread... but they might be a bit less ambitious than yours? : ) They look stunning! Such a good idea, I need to do this. Wow! How gorgeous! Love these! You're so welcome! It was my pleasure.